In more serious developments, Teresa revealed at the reunion that if her husband, Joe Giudice, is deported to Italy, that they will divorce. Joe finished serving his prison sentence and was transferred to ICE custody on March 14, 2019. He is waiting to hear the results of his appeal. And Teresa has been spending some quality time with a much-younger man, and possible boyfriend, Blake Schreck. Teresa denies that they are dating. Apparently, they just enjoy holding hands in public. 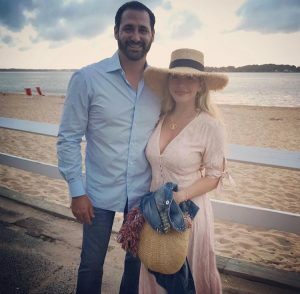 Real Housewives of New Jersey rookie, Jackie Goldschneider certainly brought a lot to the table during her first season. She gave us some epic moments and served many of them directly to Teresa Giudice’s face. More often than not, Teresa was only able to reply in profanity and random hand gestures. Now that her first season with the show has ended, does Jackie regret confronting Teresa with the truth questions no one else would dare ask? According to the mom of four, not so much. Teresa Giudice has seen and done it all over nine seasons of The Real Housewives of New Jersey. A lot of her headaches have come at the hand of her husband Joe Giudice. From rampant rumors of infidelity to stints in prison, A LOT has happened. Throughout it all Teresa has managed to stand by her man. However, there has been a clear shift in her outlook during the last couple of seasons. It looks like Teresa no longer needs Joe. Ever since Joe “went away”, viewers have seen a more strong and independent Teresa emerge. She is FINALLY allowing her anger toward “Juicy” to rise to the surface. Given that Joe is being deported to Italy after his prison release, one question comes to mind. What will Teresa do? Certainly, Teresa isn’t going to uproot her children and move to Italy right? Luckily, Teresa’s brother Joe Gorga is shedding some insight on the situation. Did she, or didn’t she? Real Housewives of New Jersey fans are wondering if the extremely private (and always zen) Dina Manzo has already tied the knot. Did she have a secret ceremony with her fiancé, David Cantin? Dina, who left the show (for the second time) after Season 6, revealed the couple’s engagement in August 2018 to Jeff Lewis on Sirius XM’s Jeff Lewis Live. During that same interview, the Real Housewives alum also revealed that she plans on keeping her wedding small. She even said that people would only learn about the nuptials after they had taken place. Dina also didn’t deny that the couple had already tied the knot. Not only that, but Jeff pointed out that the couple was sporting “really nice rings” during the interview. That sounds intriguing, doesn’t it? If longtime Real Housewives of New Jersey fans know anything, it is that what you see isn’t always what you get with Danielle Staub. I’m looking at you, Jacqueline Laurita and Caroline Manzo!) And now, Margaret Josephs is finally accepting that fact. 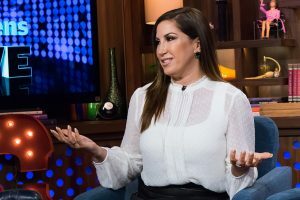 So far in Season 9 of RHONJ, we have seen Danielle lose her mind because Margaret was invited, and wanted to attend, Dolores Catania’s ax throwing party. If I was Danielle, I would be afraid of all the women who have an ax to grind with me. After a long wait, Real Housewives of New Jersey is back for Season 9. We didn’t get much action during the premiere episode, but we did get to “catch up” with all the cast members. Plus, they laid the foundation for some future storylines. All in all, it was great to have them back on TV. 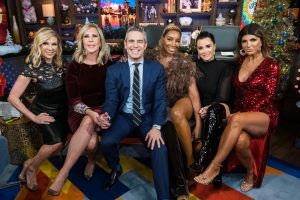 The OG herself Teresa Giudice and Dolores Catania joined Andy Cohen on Watch What Happens Live to discuss the premiere, plastic surgery, and all things Jersey.